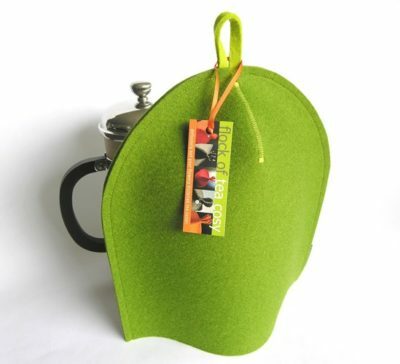 Looking for a gift for a modern tea drinker? 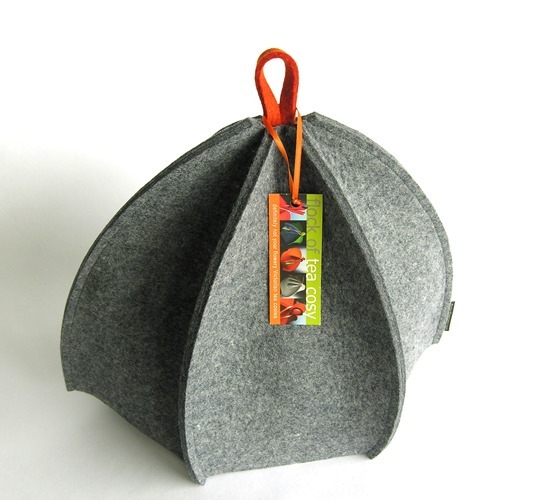 This modern tea cosy has six sides and is made with thick, industrial-grade 85% wool felt. 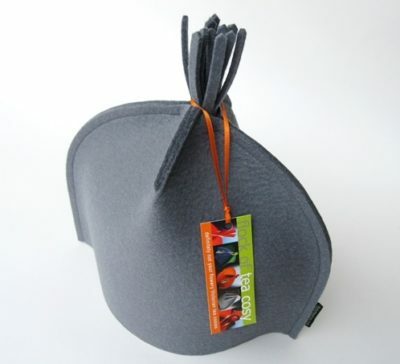 Its lovely blue-grey tone results from the blending of natural baa-baa wool colours. 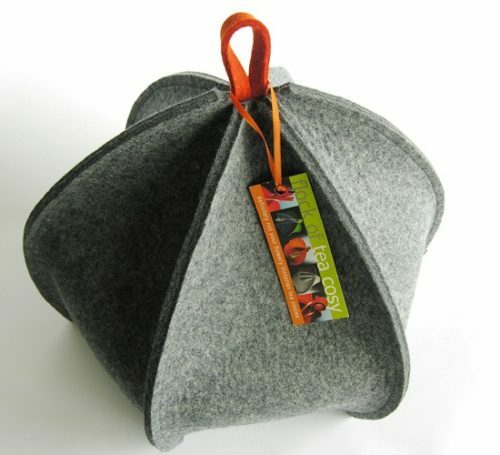 Topping off the cosy is a simple hang-tab in Burnt Orange for easy doffing and donning of the cosy on your teapot. 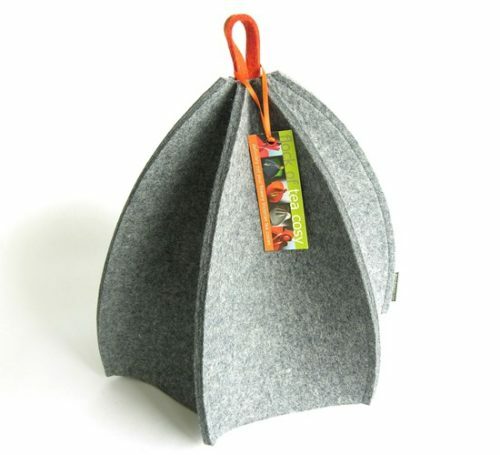 The industrial felt is a shade thicker than the European felt, lending the cosy a firmer, more architectural character. 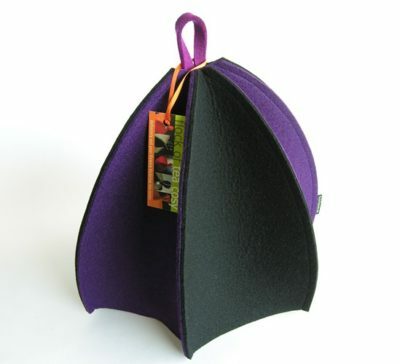 Dubbed “Ribbed” because it called to mind an umbrella shape. Its inwardly curved bottom cups and holds the pot in a most satisfying way, and I love the way it sits small and then, like a puffer fish, expands to encompass the teapot.